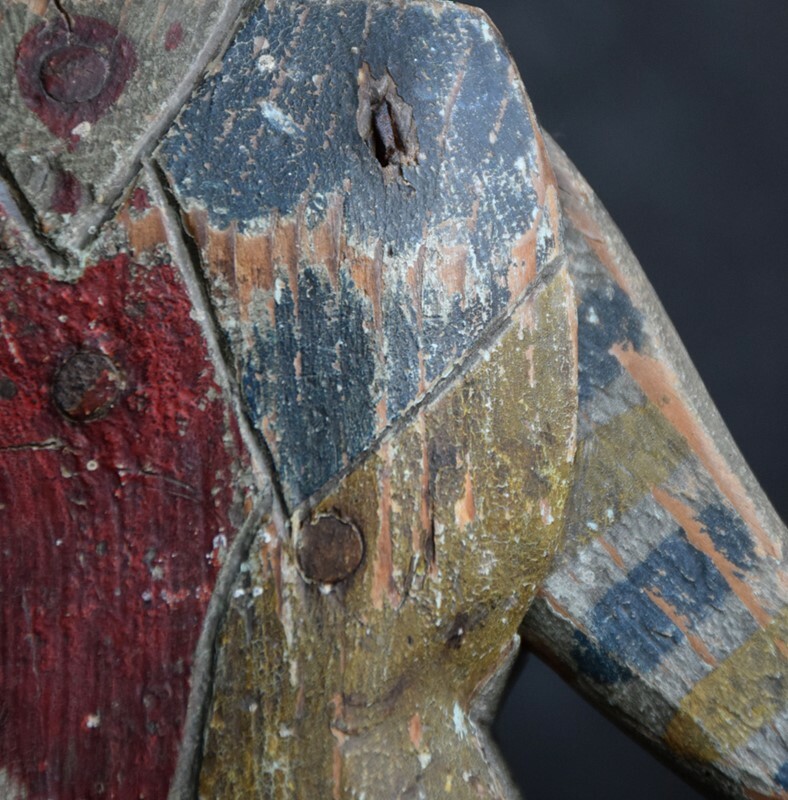 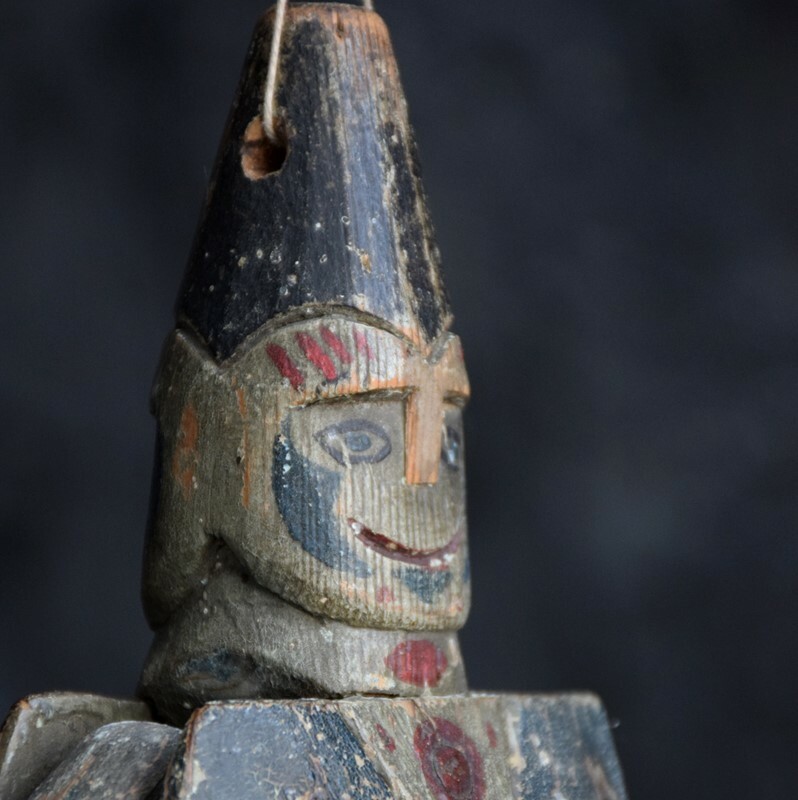 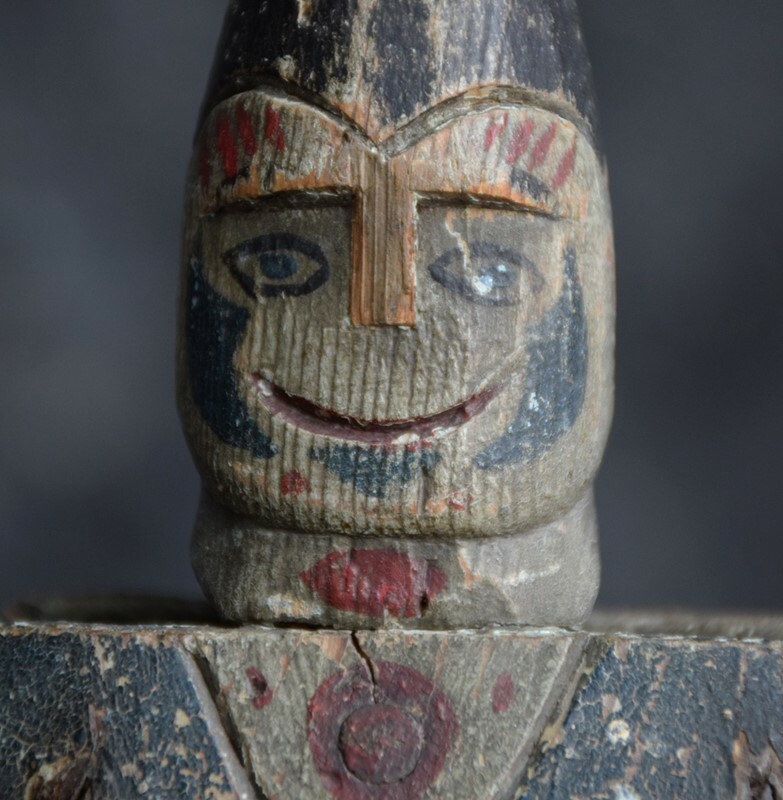 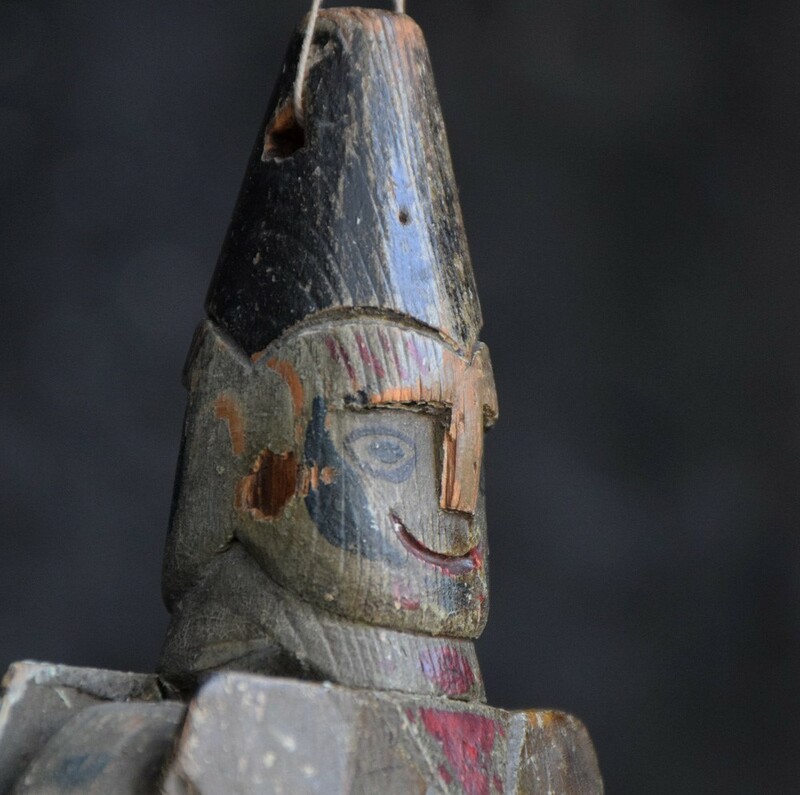 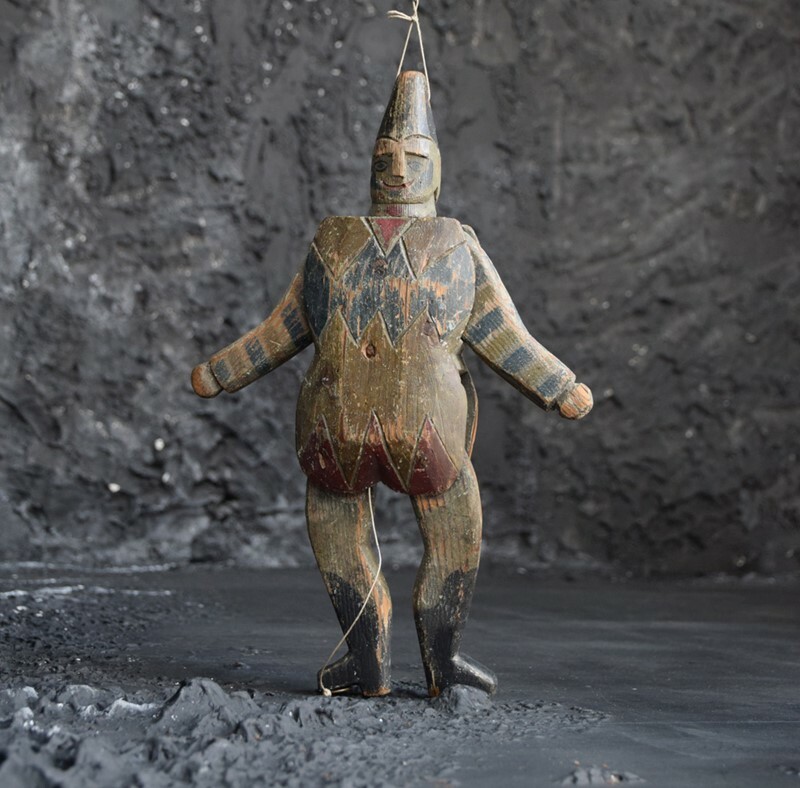 We are proud to offer an original early 20th Century carved wood and hand painted American Jumping Jack figure. 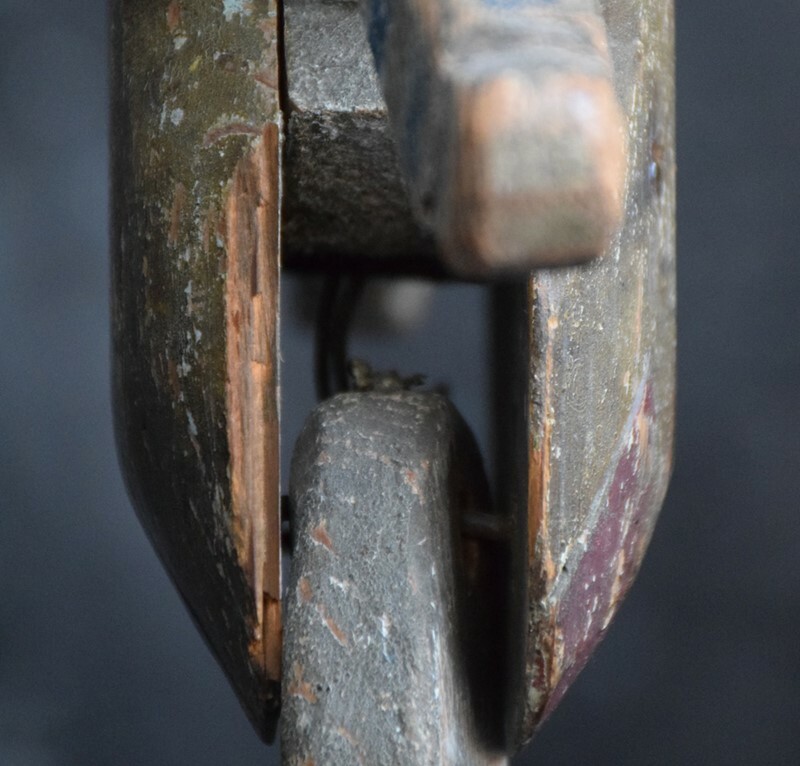 With its original features and movement in place. 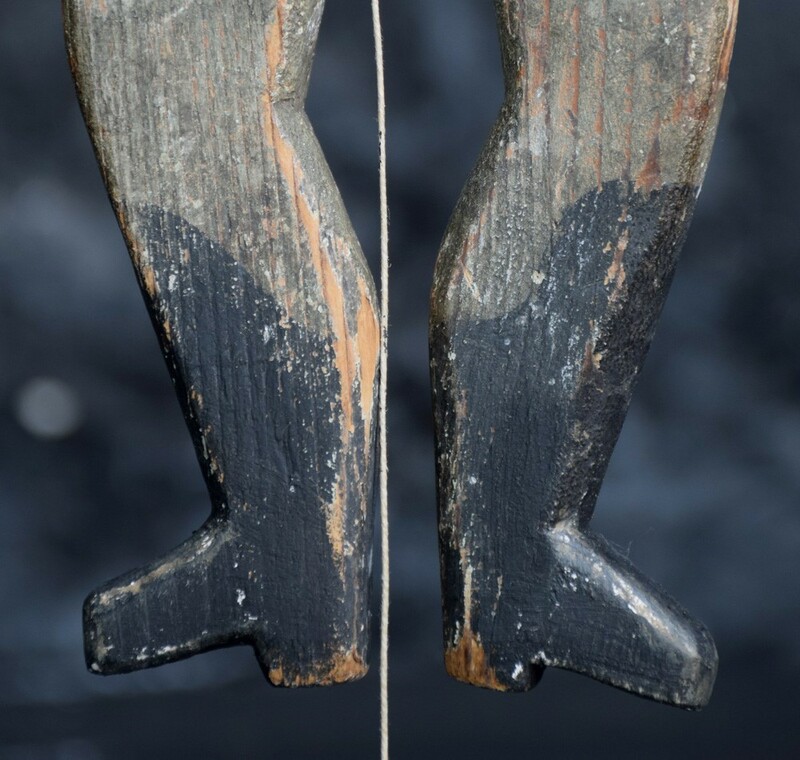 Untouched in form and structure, Once the string is pulled at the base the figure moves in a jumping motion. 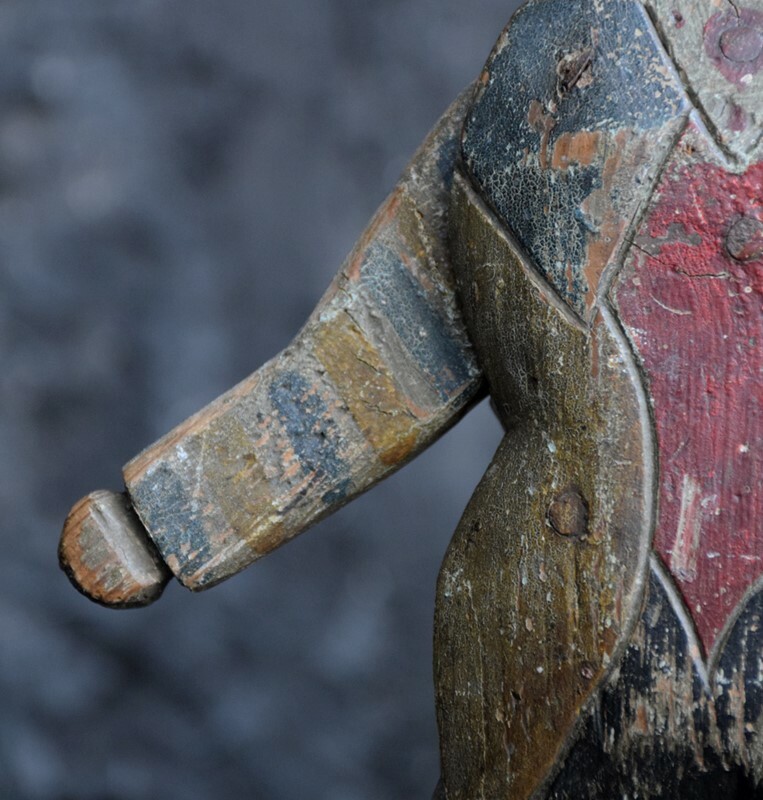 Condition: This item is completely solid in structure and form, still maintaining its original jumping motion and strings attached, this item is obviously aged and well used as the photos show. 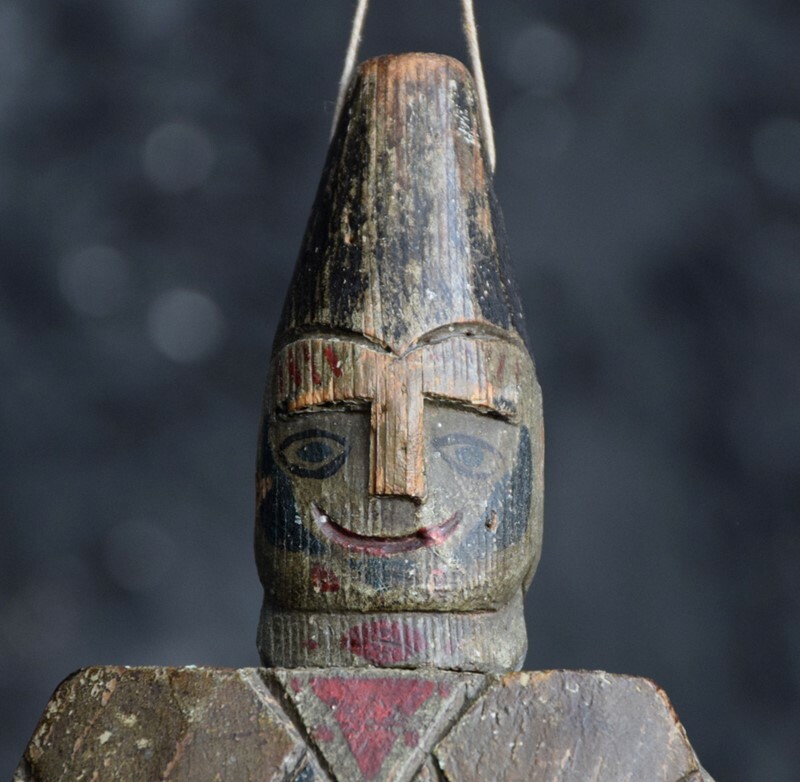 its strongly suggested to review all close-up photos and propose questions before purchasing to avoid any disappointment.